The Six-Step Blueprint is based on my 2015 Marketo Summit presentation with Jeff Coveney of RevEngineMarketing. While it is Marketo focused, the process is the same across all platforms. Curious how to achieve funnel visibility? Have you struggled to achieve the Marketing Automation dream of easy to run sales funnel conversion reports? You can achieve this vision! The secret MAPs don't tell you is you have to build the lifecycle yourself. In this first of a kind guide, Jeff and I show you the steps you need to take. Design the workflow in minute detail. 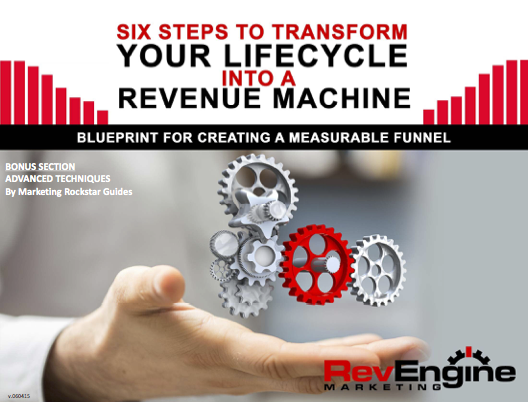 Build your Revenue Cycle Model to achieve the reporting funnel vision.